"The Art of War” by Sun Tzu (a.k.a. Sun Wu, Sun Zi or Master Sun) is considered the most important work on military theory produced in ancient China and it is one of the most influential Chinese books world-wide. The strategic and philosophical ideas described within are applied in the military, political and economic area. The Art of War was written more than 2500 years ago and is one of the worlds’s first, and best know, books about military theory. Along with the terra cotta army and the works of Confucius, The Art of War is one of the best pieces of work in any field to come out of thousands of years of innovative Chinese history. Sun Tzu came from the State of Qi and lived during the Spring and Autumn Period of Chinese history (770 BC - 476 BC). This was a tumultuous time in Chinese history when different states battled for dominance. Sun Tzu was a military strategist, general and advisor, an occupation that found much demand during this period of intense warfare and military innovation. Sun Tzu fled the state of Qi before and invasion to the realm of the Wu. The Wu king appointed Sun Tzu as a general in his army. After a victorious military career Sun Tzu had become a heroic figure to the Wu. He then summarized his military experiences, which he had gained in the wars during the final phase of spring and autumn. 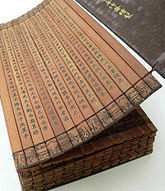 His summery, "The Art of War", discussed basic military rules, strategies and tactics in over 6000 Chinese characters divided into thirteen chapters, each dedicated to a military theory topic. For example, the "Strategy" chapter discusses the question of under which circumstances should a war be entered. It describes the relations between war, politics and economics and explains the five fundamental factors that need to be weighed when making a decision about going to war. The factors are politics, favorable opportunity, geographical advantages, the generals and the juridical system. The chapter “Warfare Guidance" explains how a war should be led while the chapter “Offensive Strategy" described, how one should attack the enemy. Sun Tzu also emphasizes the need to keep the costs of a victory as low as possible. That means that ideally one should attain victory without a field battle, conquer hostile position without large-scale offensives and destroy of the enemy without a lengthy war. Sun Tzu stressed that one can only achieve a low cost victory through resourcefulness and skill. According to him a political strategy is the best tactics for achieving victory, resulting in transforming an enemy into an ally. In second place stands the victory which is attained in a diplomatic way and force is not used. A victory obtained by force represents only the third most desirable method. Attacking hostile cities is an unwise tactics, according to Sun Tzu, because with this offensive strategy one must consider not only the cities forces, but also those of the enemy army. In the chapter "Use of Espionage" Sun Tzu explains that one must use spies in advance of their armies in order to measure the dangers of a hostile situation. Espionage should be used to obtain information regarding the strength and location of the enemy’s forces, terrain and the loyalties of local populations. Only then can a general have the compressive information needed to wage an effective military campaign. Counter espionage should be used to deny this same information to the enemy. The "Art of War" contains numerous valuable philosophical ideas as well as practical military advice. For example, Sun Tzu states, “For to win one hundred victories in one hundred battles is not the acme of skill. To subdue the enemy without fighting is the acme of skill.” These philosophies have been applied in many different social and commercial fields. It is a favorite among entrepreneurs and traders who have found the book offers them guidance in controlling markets. About half of the Art of War is concerned with winning without actually going to battle and this has lent itself to being applied in such fields as politics and personal relationships. The Art of War has also been the subject of various legal books and articles dealing with the trial process, including negotiation tactics and trial strategy. The book is also frequently cited in popular culture with quotes being found in movies, television programs and video games. The book has been translated into every major language and several thousand editions of the book appear worldwide. It has long been used in the curriculum of many countries military academies. It can be found on officer reading lists for all the branches of the United States military and it is required reading for agents of the CIA. General Vo Nguyen Giap successfully implemented tactics described in The Art of War during the Battle of Dien Bien Phu in 1954. The resulting victory ended major French involvement in Indochina. The US general Norman Schwarzkopf or ‘Stormin’ Norman, credited both Sun Tzu and Hannibal Barca for his flanking strategy that cut off and annihilated the weaker Iraqi army.